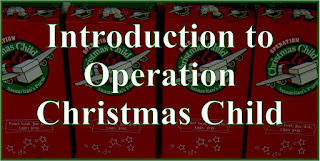 I haven't gotten a lot of Operation Christmas Child shoebox sewing done the last couple of weeks. 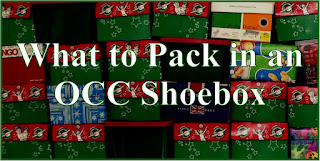 I have been moving my sewing room around and sorting my shoe box crafting supplies. I also finished a pair of drapes (finally) for my daughter (we won't even mention when I started them). Next up on my sewing table is a load of drawstring bags and a handful of bitty blanket loveys. But first, here is what I did finish. 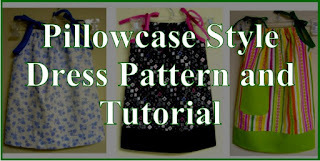 was donated specifically for dresses or skirts. This book my daughter gave me for Christmas and the stuffie my other daughter found at a thrift store for 25¢. The lacing card was part of a set I got at Kohl's with my Blog Giveaway Win of a $250 Kohl's Gift Card. My National Championship Buckeye Dress didn't get finished during the game, but I did finish it. The hat I made turned out too big for some reason, so it will go in a 5 to 9 year old box and I'll make another to go with this. Not sure what else I'll add to this box, but it will at least stay with the scarlet and grey Ohio State color theme. The fabric and trims were from my late mother-in-law's stash. I added a flower button, lace and trim to the pocket. Since I put a button on the pocket I left it off the hem, but I still may go back and add a bow and button to the hem. When adding lace I like to leave a little of the dress fabric hanging below so it doesn't get as dirty or worn out. One reason I moved my sewing machines, cutting table and ironing board (my supplies are still in the other room) was because there were no windows in the room they were in. I love the great outdoors and if I can't be outside I want to see outside. Here is my window over my ironing board so when I iron I can look outside. 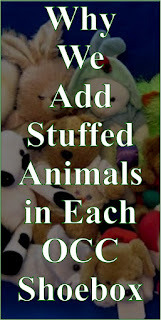 And this is my Operation Christmas Child & Dress A Girl display to inspire me. It is nice that the windows are so deep because I am in the basement. And here is a glimpse at my eclectic wall grouping hanging in my new "sewing room hallway." The flower pictures are embroidered prints that some great grandmother made (I don't think anyone knows for sure who). In the middle are two cross stitch pieces my two sisters made for me. The sewing machine picture I had admired once and my mom got it for me years ago for Christmas. And the two little hand made Christmas ornaments were from family friends -- I love keeping them out all year. This is such a nicer view than the block wall I was used to facing while sewing. I'm hoping that more lovely surroundings will encourage me and make sewing for shoe boxes even more fun than before! What have you all been crafting this past week? 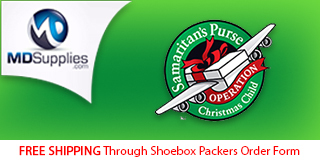 Have you worked on packing any Operation Christmas Child shoeboxes? 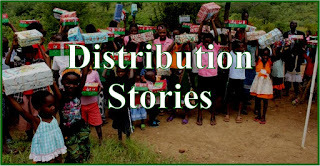 Click this link if you would like to see more Operation Christmas Child themed shoeboxes. 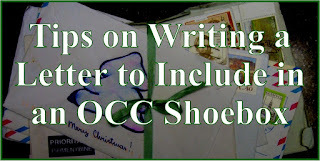 If you are looking for ideas and crafting patterns check out our Crafting for Operation Christmas Child Shoeboxes Tutorial Index. Love the way you think!! It is doggie adorbs! I love the way you made your pocket! Do you have a tutorial for that? Great idea on the lace, too. I didn't consider how dirty it would get on the bottom. 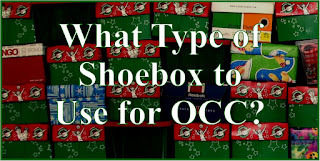 I love that you are taking time to share your love for OCC shoeboxes, and the TLC you put in each 1 is so inspiring! 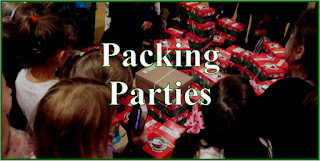 My season of life doesn't allow me to do the same things, but you are challenging me to have the same heart of prayer & care for each child I pack a box for :) We live in the Dayton, Ohio area, and the Peace Accords for the Bosnian-Serbian conflict were signed about 3 miles from our home! 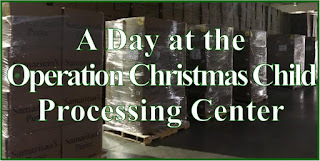 Since the 1st boxes went out in response to that war, our church has been involved since the very beginning. 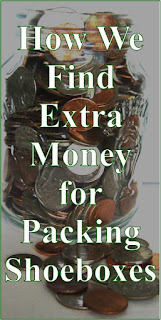 When our children were young, we each packed one; now that they are grown, I've been trying to increase that # each year. Serving at the Processing Center for 5 years has allowed me to learn & see so much, so last year my goal was to make some 'handmade' things - I made 20 felt tic tac toe boards and crocheted some scarves. My goal this year is to continue that, and to pack 1 box each week ... so far so good! I just love having 'unhurried' time to pray for and think about each child, and your enthusiastic sharing is helping me stay on task. 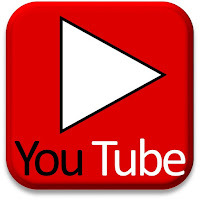 So thanks for that and for all the creative ideas - you are a blessing! Gorgeous OSU dress and Puppy set! Working hard as usual :)O-H! Thank you, Mama Bear, for such an encouraging comment and for sharing your journey with me. I love to hear what others are doing! So interesting about the Bosnia connection there in Dayton! 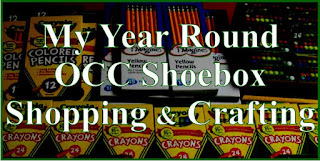 We lived in the middle of "shoe box country" when they started so we heard about the first collection on the radio and got to be involved from the beginning, too. BTW if you couldn't tell, I, too, am a Buckeye -- unfortunately I am currently transplanted and not living in Ohio. I so miss it. Thanks again for stopping by. Thanks, Chelle! Don't know what else will go in the OSU box, certainly no Buckeye stuff where I live. Thanks for stopping by. I-O! Lindsay, for some reason your comment is just coming thru. 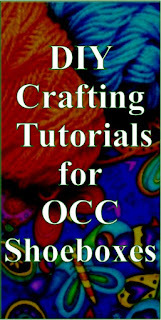 I do not have a tutorial for the pocket, but have thought of doing one. Your comment is encouraging me to get that on the top of the to post list. I love the puppy one!